San Francisco — April 20, 2017— Blockchain Capital, the premier venture capital firm investing in blockchain technology companies and tokens, announced today the successful conclusion of its ICO. The fund raised USD $10 million digital tokens (the “BCAP Tokens”) within six hours in an oversubscribed offering. Participation from many of the industry’s thought leaders drove strong sustained interest to bring the historic offering to a rapid completion. BCAP tokens will be made available to account holders on the TokenHub.com website on or before May 10th, as previously announced. Blockchain Capital also announced today the fund’s first investment will be into Parity Technologies Ltd (formerly known as Ethcore). Parity is the company that created the Parity Ethereum software. Dr. Gavin Wood, the creator of the Ethereum specification, has recently also proposed a revolutionary heterogenous multi­chain framework called Polkadot. Polkadot is a third­ generation public, permissionless blockchain technology designed to be at once scalable and extensible, solving two of the greatest problems preventing widespread adoption of blockchain technology today. Blockchain Capital is the premier venture capital firm investing in blockchain technology companies and tokens. Launched in 2013, Blockchain Capital’s initial fund was the first venture capital fund dedicated to the Bitcoin / blockchain ecosystem, and was also the first fund to accept capital calls in Bitcoin. 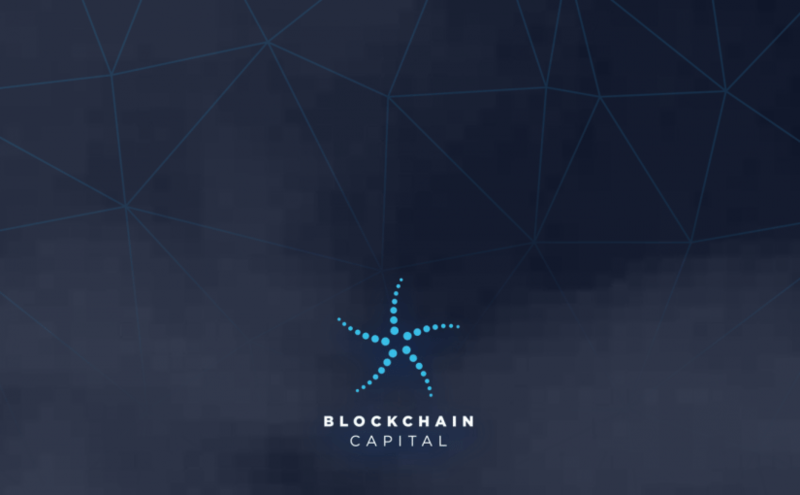 Blockchain Capital is a sector specific, multi­stage, venture capital firm that seeks to gain diverse exposure to the blockchain ecosystem while offering unique co­investment opportunities and proprietary deal flow to its investors. For more information, please email [email protected], visit www.blockchain.capital, follow @blockchaincap, or call 415-­677­-5340. The Polkadot project is slated to begin in the new year and take up to 24 months to complete. For more information, please visit polkadot.io. The BCAP tokens were offered on a limited basis to a maximum of 99 accredited US investors under exemptions from registration with the U.S. Securities and Exchange Commission pursuant to Regulation D, Section 506(c) and Regulation S of the Securities and Exchange Act of 1933, as amended (the “Securities Act”), and the rule promulgated thereunder. Only accredited investors within the US and non­-US persons outside of the US were be eligible to purchase BCAP tokens. This Press Release does not constitute an offer to sell or the solicitation of an offer to purchase the BCAP tokens, nor shall there be any offer, solicitation or sale of the BCAP tokens in any jurisdiction in which such offer, solicitation or sale would be unlawful. The BCAP Tokens have not and will not be registered under the Securities Act or other applicable state securities laws, and may not be offered or sold in the US absent registration or pursuant to an exemption from registration requirements of the Securities Act and under applicable state laws.